Enhanced with natural materials like renewable Soybean foams, organic cotton layers, and breathable cotton covers to provide premium comfort, firmness and luxurious sleep. American made. Innovative materials. Parent trusted. Give your baby a peaceful night’s sleep. Check out our new, innovative crib mattresses, exclusively at Walmart. Made with safety-tested materials to ensure you bring home the best for your baby, all Sealy crib mattresses meet the CSPA and CHCC regulations. Read our crib mattress buying guide for tips on how to choose the right crib mattress for your baby’s nursey. For over 130 years, Sealy sleep products have been synonymous with comfort, quality, support, and the latest technologies to bring great rest to every kind of sleeper. 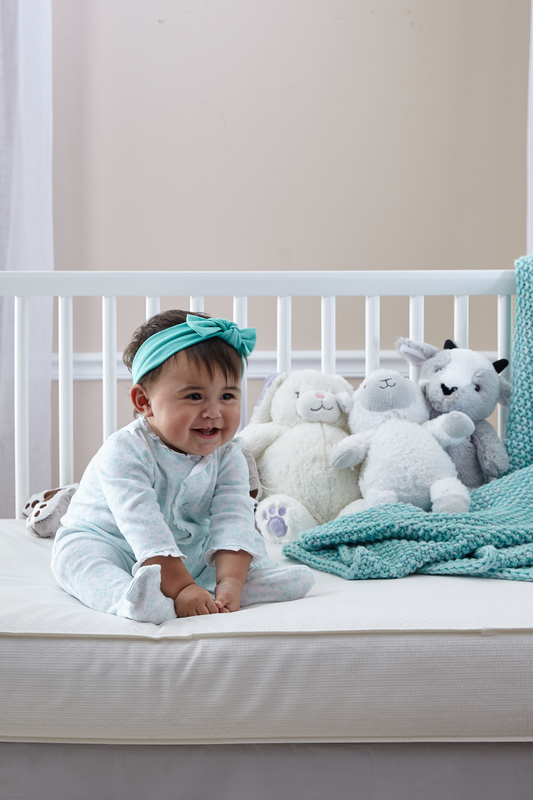 With award-winning crib mattresses and innovative crib bedding, families trust Sealy Baby to bring safety and style home.